When it comes to dramatic architecture, it’s hard to beat the historic and romantic mansions in Newport, Rhode Island. 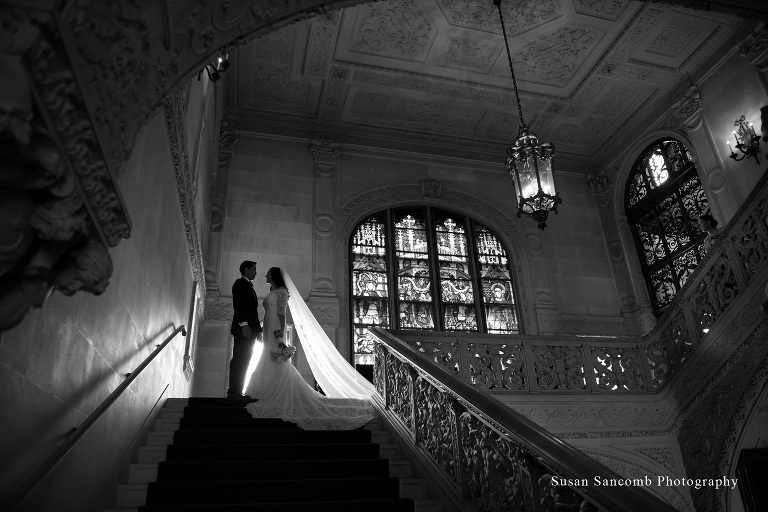 L & C chose the stunning Ochre Court, on the campus of Salve Regina University, for their wedding reception and just one look at this dramatic staircase tells you why! The ornate and open spaces are a wedding photographer’s dream.